What is the difference between a fixed-rate and an annual adjusted rate reverse mortgage? I'm in the process of doing a reverse mortgage. What is the difference between the fixed rate and the annual adjusted rate and also how it will ultimately affect my situation/future with respect to doing a reverse mortgage? Please respond ASAP as I am already in the process. Fixed rate reverse mortgage interest rates donâ€™t change during the life of the loan. Rates for adjustable rate mortgages change according to the market interest rates. Adjustable rate mortgage can distribute funds as a partial lump sum, a monthly payment, or as a line of credit. If you are getting a Reverse Mortgage, be sure to check out the articles on the reverse mortgage product and process at Reverse Mortgage Information Center. A fixed-rate reverse mortgage offers a stable rate, allowing seniors to better calculate how much they or their heirs will owe when they move out of the home or pass away. Fixed-rate reverse mortgages can have a slightly higher rate to start with than adjustable rate reverses. However, depending on market conditions, the adjustable rate could increase significantly, meaning that the fixed rate may be the better choice in the long run. It is impossible to say which is a wiser financial choice because we cannot accurately predict long-term market conditions. However, the fixed-rate loan does offer more stability and less risk, so you may want to choose a fixed over an adjustable. One key difference between a fixed-rate reverse mortgage and an adjustable rate reverse mortgage is the distribution of funds. With a fixed rate mortgage, you can only receive funds as an upfront lump sum payment. If you need the cash immediately, a fixed-rate mortgage may be right for you. However, if you do not need the money now, a fixed-rate mortgage will erode your home equity faster than opting for a monthly payment or line of credit option that is available with an adjustable rate reverse mortgage. As with any financial product, you should read up on reverse mortgages to arm yourself with as much information as possible; a good place to start is Federal Trade Commission’s reverse mortgage page. Bills.com also offers a more information about reverse mortgages. 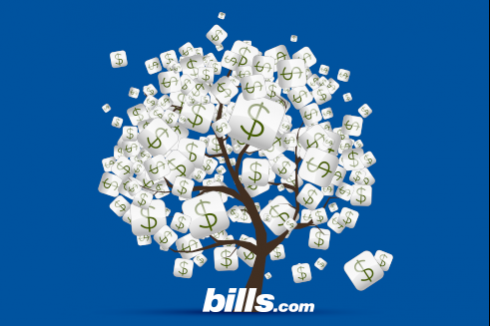 To start, see the Bills.com article Understanding and Selecting a Reverse Mortgage. You should then discuss the available programs with different lenders to find the best loan for your particular situation. I hope this information helps you Find. Learn. Save.